This review compares last year's NOAA Climate Prediction Center (CPC) 30-day and 90-day precipitation and temperature forecasts for the winter period of December-February (DJF) 2014-2015 with the actual observed conditons. 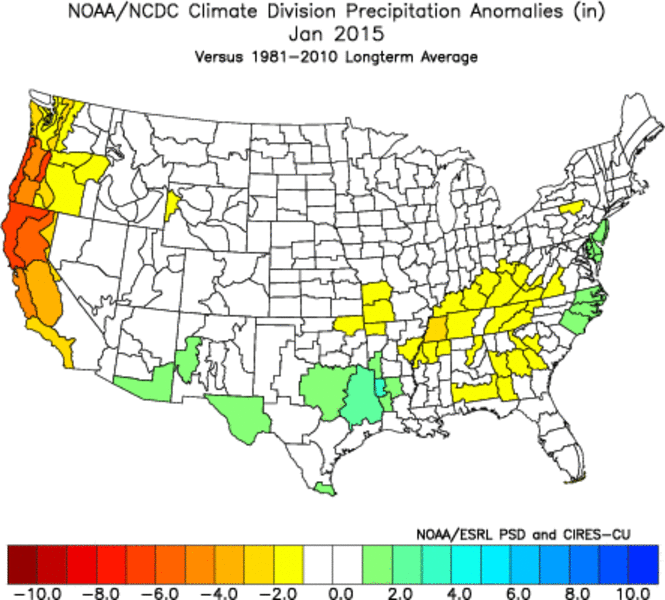 Winter Precipitation: The CPC Winter precipitation forecast for DJF 2014-15 did poorly at capturing the negative precipitation anomalies for California and Oregon. 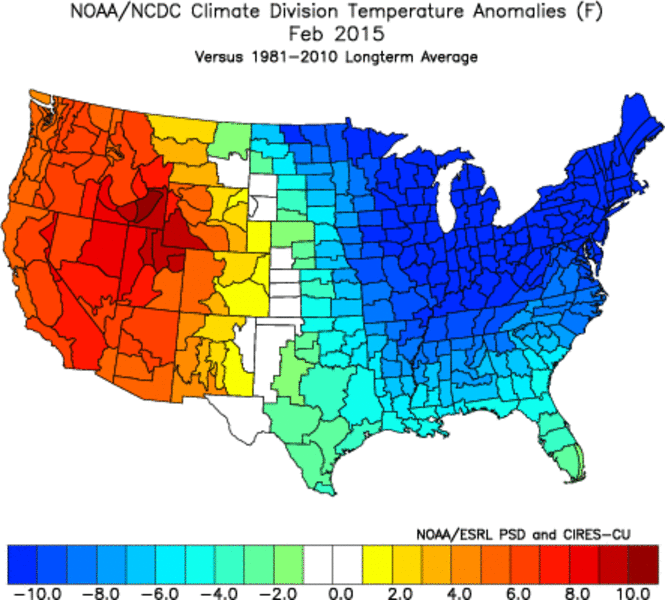 It did capture the negative anomalies in Washington and the Midwest. 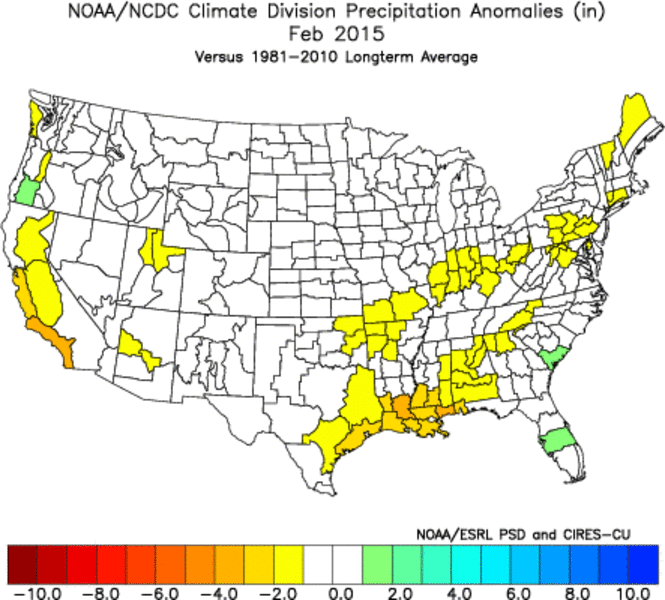 The above normal precipitation forecast along the southern tier of states only verified in a few places and was out of phase along much of the Gulf Coast and southern Florida. 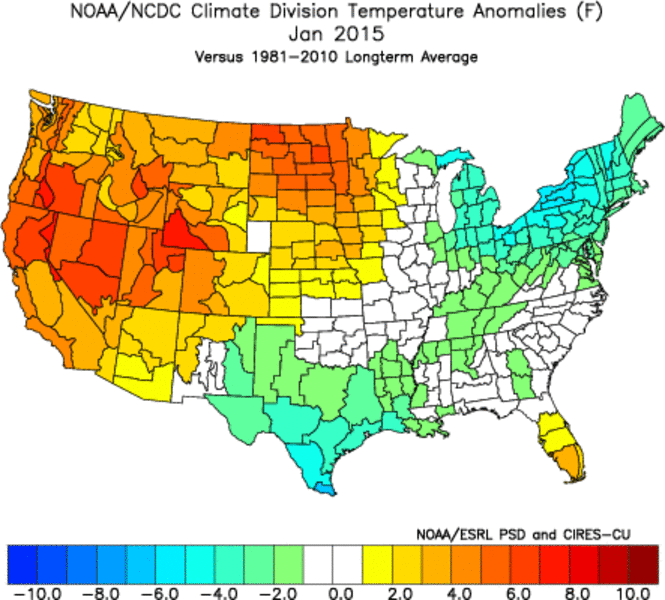 Winter Temperature: For the second year in a row the winter temperature outlook for most of New England was a complete fail. 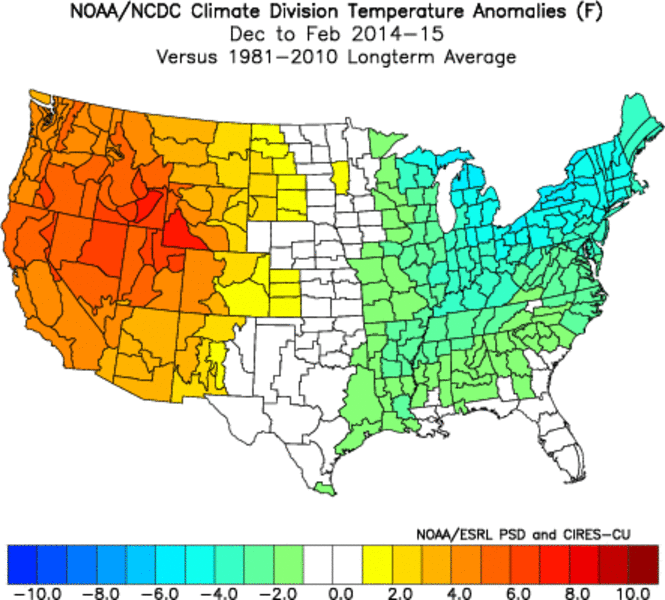 Above normal temperarures were forecast for most of West and verified well west of the Rockies but not in the Rockies and the western Plains. 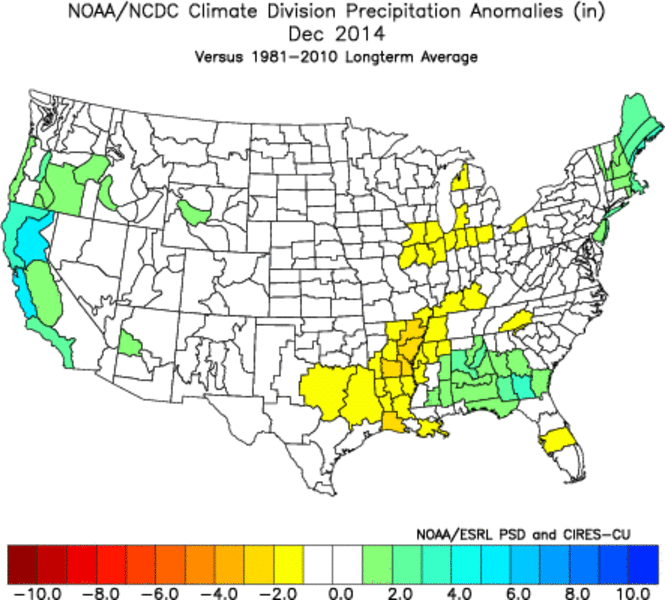 The below normal forecast for most of the Southeast verified, but the remainder of the eastern half of the country was not well captured. 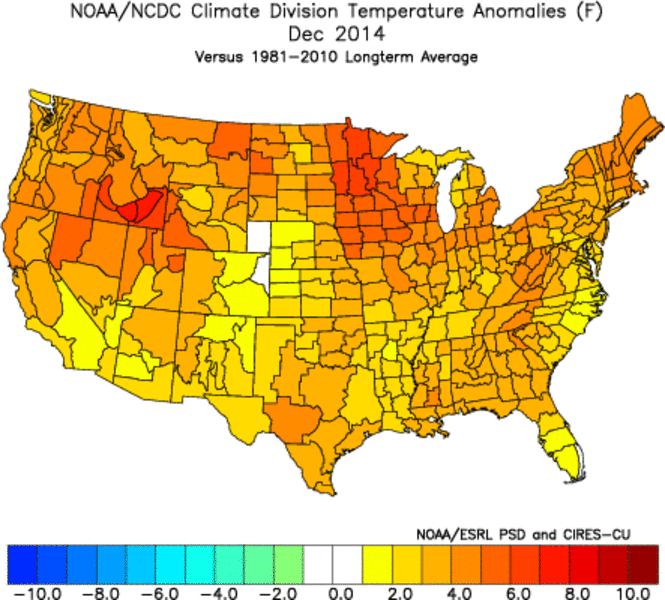 The 30-day and 90-day outlooks were retreived from the NOAA Climate Prediction Center (CPC) archives and the corresponding observed temperature and precipitation data were downloaded from the High Plains Regional Climate Center's Climate Summary Maps.